Pieve di Controne is 565 meters above sea level, 8 kilometers from Bagni di Lucca.La Controneria is the largest and most populated area of Bagni di Lucca, the most important villages in this area are Pieve di Controne, San Gemignano and San Cassiano.There are also Guzzano,Gombereto,Mobbiano,Longoio and Vetteglia.San Cassiano is made up of different little groups of houses named Campiglia,Cappella,Vizzata,Cembroni,Cocolaio,Livizzano,Chiesa and Piazza. At the ‘Refubbri’ a place on the road to Bagni di Lucca,theres an ortary dedicated to the Visitation of Mary, her gaze wanders towards Pratofiorito and its nearby mountains.This was one of the favourite walks of Elizabeth and Robert Browning english poets of the 19thcentury,when they stayed in Bagni di Lucca.Robert Browning in the peom “By the Fire-side” describes this walk.The origin of the name Controne is unknown. The antique of the Pieve was Bargi. 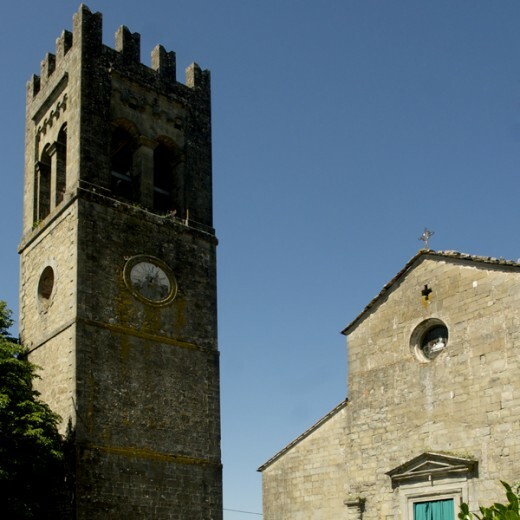 The Pieve is remembered in a parchment of the year 844.Until the middle of the 13thcentury La Controneria extended from Fegana to Camaione the principle church was not the antique Pieve San Stefano di Bargi but the Pieve di Santa Guilia which is now the area of the cimitery of Pieve di Monti di Villa.After the middle of the 13thcentury they formed two parishes, with the River Camaione used as a boader line between the two territories.It was probably made in this period that castle above the village of the Pieve called “Bastia” like “nova cella” under the village. 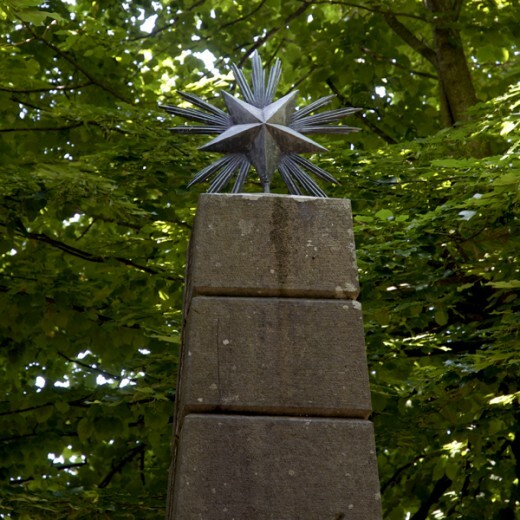 In 1197 the city council agreed to an alliance with San Genesio of Florence,San Miniato Prato and Volterra to liberate the territory from a feudal bond.The Controneria sweared loyalty to the council in 1214.With the help of Francesco Castracani by returning to make part of the Parish of the Val di Lima they had special privileges because of it’s large population and was represented in the Parliament of the Val di Lima by four mayors, from the 19th century these mayors chose to live at San Cassiano.San Gemignano and San Cassiano until the middle of the 1600’s was one comunity but because of a clash of interests they divided in 1637 and lived separatly even though they had the same mayor.In the files of the city council of Bagni di Lucca theres two statutes of 1572 and1637. 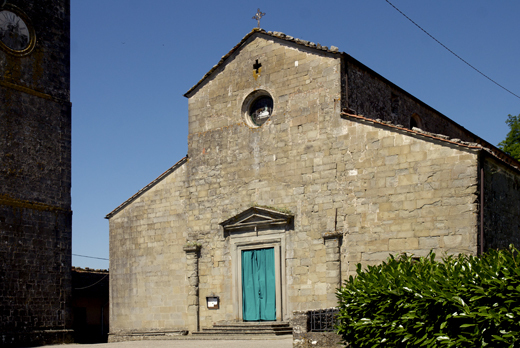 The parish church is dedicates to San Giovanni Battista. It’s the old church of Santo Stefano di Bergi remembered in a parchment in the files of 884,it was one of twenty eight churches founded by San Frediano.In the 14th century the church was under a landslide ruining the entrance door,so it was necessary to invert the front to the side as viceversa. Inside the church was then modified its still visible today the old entrance at the back of the church. 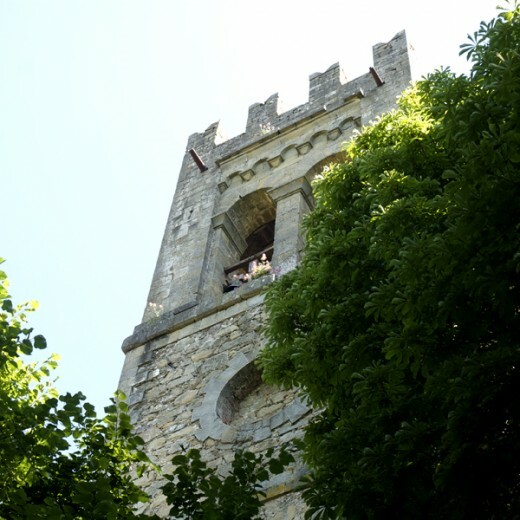 The bell tower was built and the end of the last century and has the largest bells in the whole territory of Bagni di Lucca. Inside there are 3 aisles and a beautiful stone baptism fountain surrounded by railings. The organ was made in 1773/74 by Michelangelo Crudeli.